The London climate march. Photo credit: Avaaz. 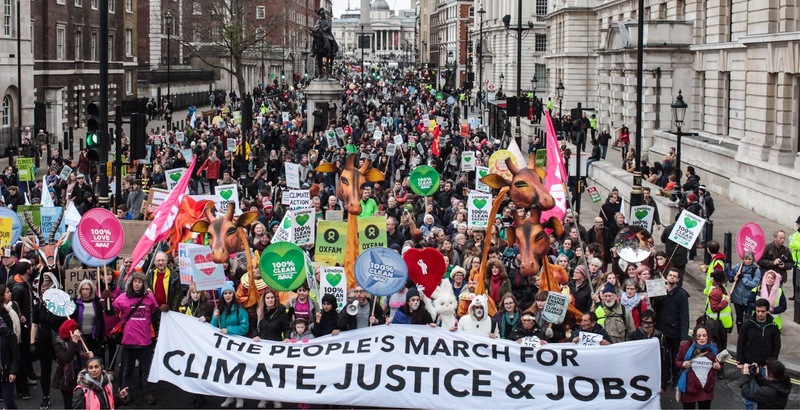 Green groups have said that a record amount of people across the world took to the streets to call for action on climate change. The protests took place in a weekend (28/29th of December) of global action leading up to the start of the Paris climate summit on Monday. 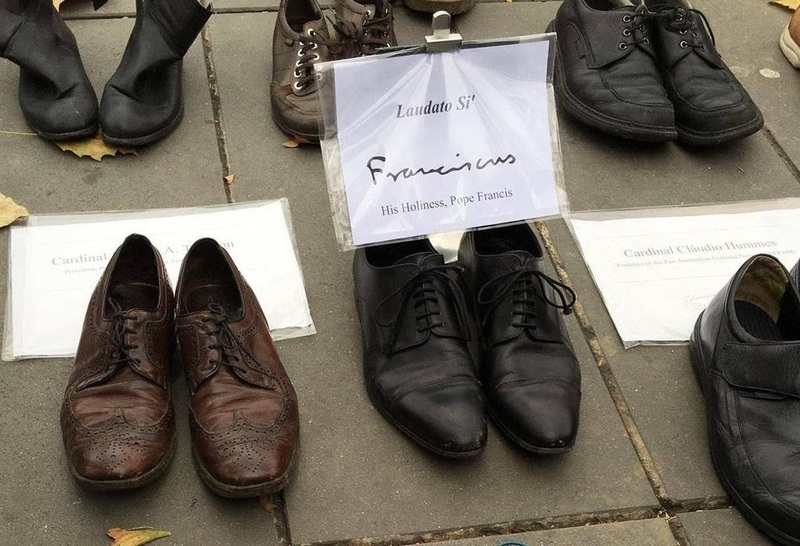 Pope Francis shoes on Place de la Republique. Even though the French authorities had banned the Paris climate march following the terrorist attacks, all eyes were still directed towards the French capital as 20,000 shoes were placed on Place de la Republique marking a silent protest. These included those of UN General Secretary Ban Ki-moon and Pope Francis. Later in an art installation, the Eiffel Tower displayed the message ‘100% Renewable’. The march event organisers Avaaz says that 2,300 events were registered in 175 countries totalling the participation of 785,000 people. 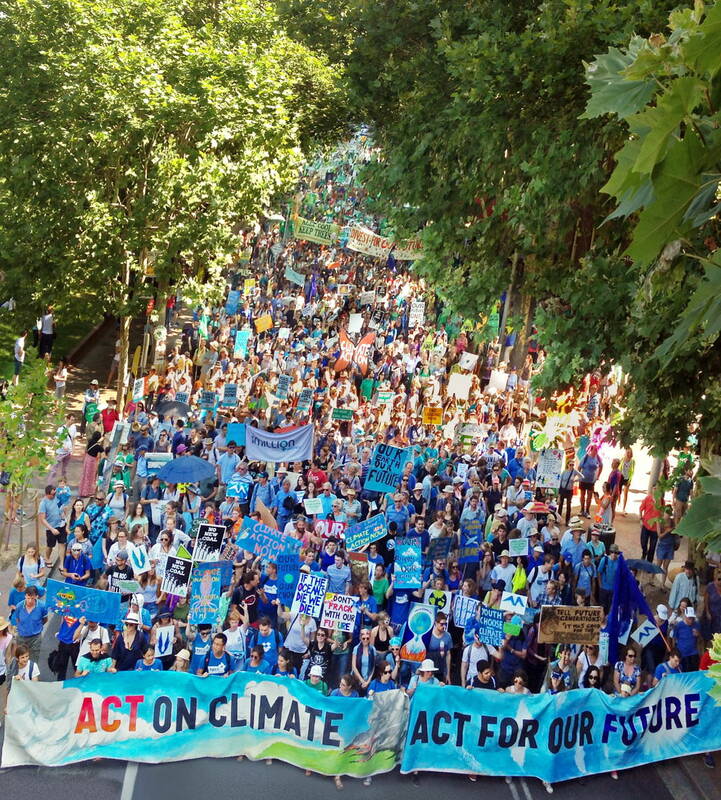 Climate marchers out in Sydney, Australia. Photo credit: Avaaz. In London the actress Emma Thompson, singer Charlotte Church and designer Vivienne Westwood joined 70,000 people on the London streets, making the London march the largest in the world. Delhi, India. Photo credit: Avaaz. 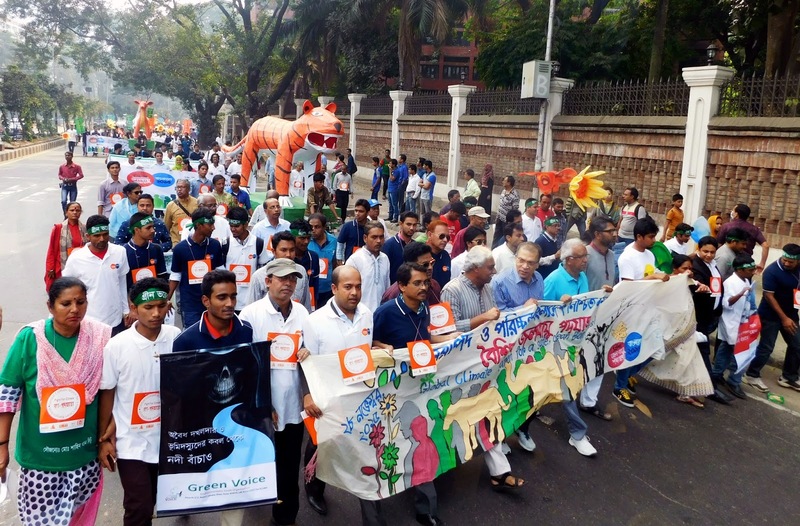 Collectively in Australia 120,000 marched while in India 100,000 took to the streets. 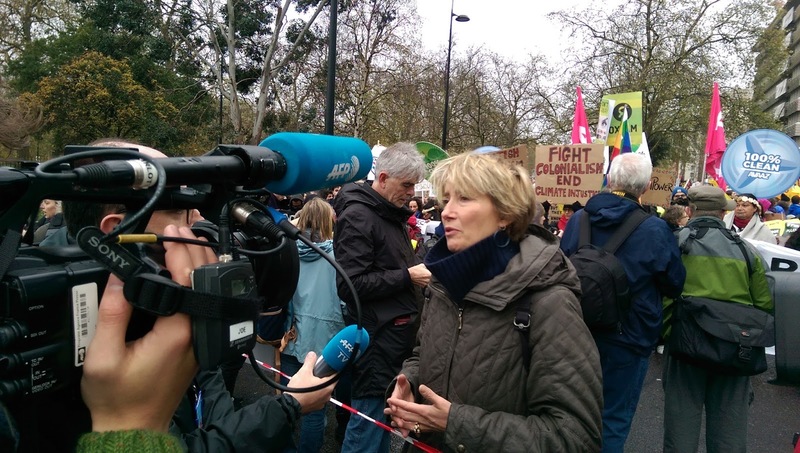 Actress Emma Thompson speaking to the media ahead of the start of the London march. Photo credit: Anders Lorenzen. And according to Avaaz, 24 countries recorded their biggest climate march ever. And even conflicts didn’t stop people taking to the streets. People marched in Sanaa, Yemen, despite bombs falling close to the start of the march. Ottawa, Canada. Photo credit: Avaaz. 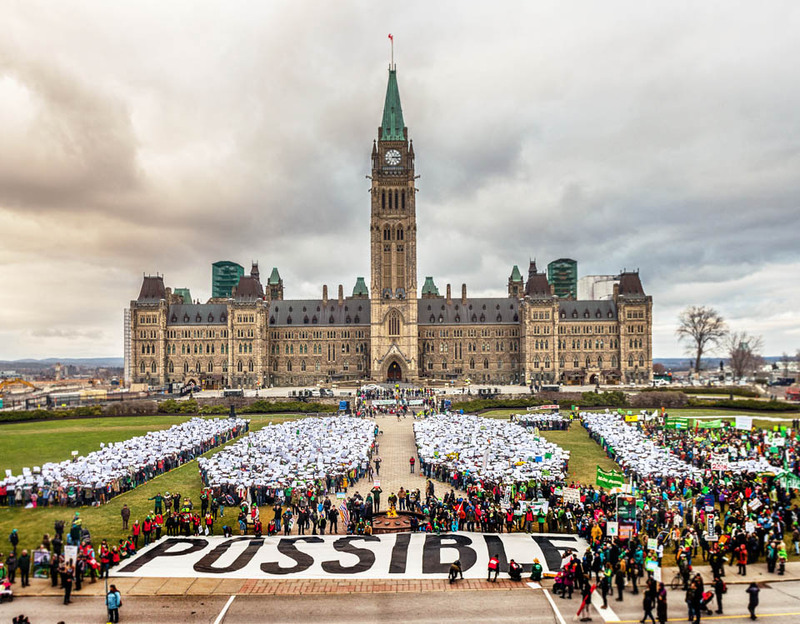 In Ottawa, Canada 25,000 people braved the cold despite -7 degree temperatures. Dhaka. Bangladesh. Photo credit: Avaaz.